It’s hard to overstate the impact and influence that Atlas’ Demon Souls and Dark Souls have had on the wider gaming space in recent years. Seemingly-overnight, Hidetaka Miyazaki’s take on the action RPG has gone from cult classic to meteoric mainstream hit. And the rise of this action-RPG subgenre has inspired no shortage of pretenders, imitators and tributes. There's been Nioh, Lords of the Fallen, The Surge, Darksiders 3 and plenty others. 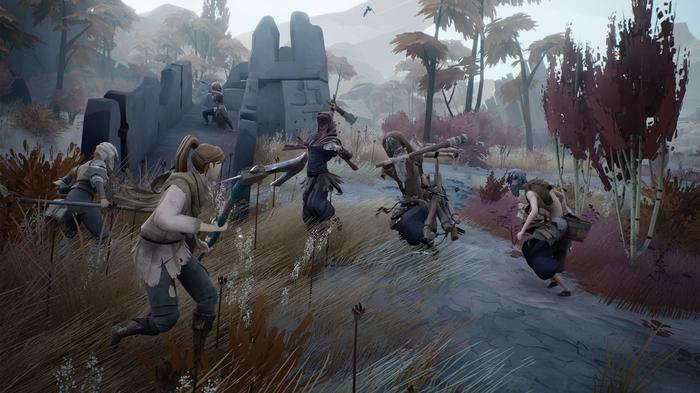 Like the above, Ashen takes place in a dark fantasy setting and features slower, more-deliberate combat. But like last year's Dead Cells, A44’s Ashen leverages its sense of aesthetic flair towards accessibility - bringing people into the genre. 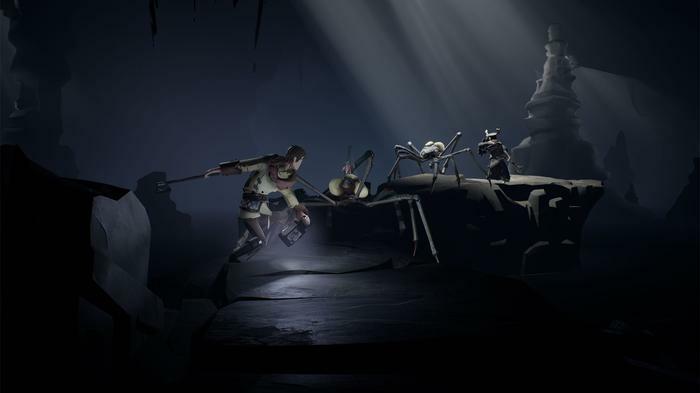 Right down to its foundations, Ashen is a game that rewards thoughtful play and punishes unnecessary risk-taking. Yet, it also subverts the formula through accessible design choices and a more-optimistic tone. Most impressive of all, Ashen distills the Dark Souls experience into a game that you could recommend to just about anyone. As you’d expect, the setup here is vague but tantalising. You create and take on the role of a nameless warrior in a fantasy world that’s survived through a cataclysmic age of darkness and come out the other end. The world is perched on the precipice of renewal within a larger cosmic cycle of death, rebirth, good and evil. But before that happens, someone has to go out and vanquish the remnants of the darkness that's scouring the land. That's where you come in. You're also tasked with awakening the Ashen: a godlike bird whose vitality shapes the status quo of the world's cosmic order. As for how you achieve that task, there are threee things you'll be doing in Ashen. Exploring areas, fighting enemies and collecting Scoria. For those familiar with the genre, Scoria is pretty much Ashen's take on souls as a currency. They're the game's principle resource and your progression through the game is very much paced around your ability to invest Scoria into improving your character with equipment upgrades and the more-passive talisman system. If you’ve played one of these games before, you know the deal. Die, and you’ll lose your souls. Fight your way back to the spot where you died - and you’ll reclaim them. And the world of Ashen has this clean and picturesque quality that ensures this is never a chore. It's a sharp contrast to the ruined landscapes of fare like Bloodbourne and striking in its own right. At times, it feels like there’s not a single area in the game where you can let the camera settle and bask in the scenery. For as dangerous as some of the enemies in the game are, the sense of place makes Ashen a delight to inhabit and explore. Polish isn't everything in game design - but there's a lot of it here. What's more, developer A44 have done a tremendous job of filling each environment in the game with secrets to discover. Every part of the broader picture feels considered and deliberate. Over and over again, the game incentivized using the camera to eke out every little discovery on the map. 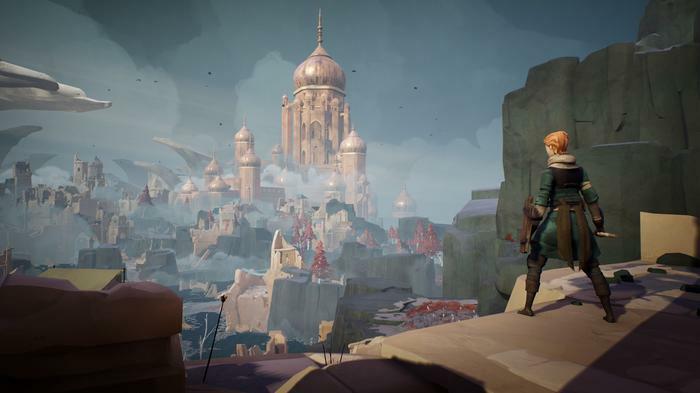 I loved the feeling of discovery I got as I explored the world of Ashen. Unfortunately, when it came to the story of the main plot, it fell flat. There's some cool character designs and fun dialogue here. But the game's larger mythology, and my place within it, fell pretty flat for me and failed to resonate. For the most part, I was far more invested in the my own story than the one that Ashen seemed determined to tell. That said, Ashen's settlment system is enthralling. At the start of the game, more-or-less after the initial tutorial, you establish a settlment. Then, as you move through the world, you’ll encounter new NPCs. These characters will make their way to and begin making a life within your township. What begins as a barebones trading outpost will blossom and evolve as you play through the game. Every time you return home to Vagrant’s Rest, you’ll notice it’s just that little bit more developed and lively. Travellers will become residents and the ruins that you start the game exploring become a home. There's a similar sort of magic at work in Ashen's companions system. Demon Souls and Dark Souls dabbled with multiplayer in various experimental ways, but Ashen's take feels almost as unique as its town system.As you explore the world and pursue quests, you’ll recruit new companions. Each of these companions offers up new quests, expand your tech tree and follow you through the world. At a baseline, the face that you're never adventuring alone goes a long way towards keeping Ashen from feeling like the grind it, by design, kinda is. Then, when the stars align, the game will seamlessly sub out your AI companion for a real human player. 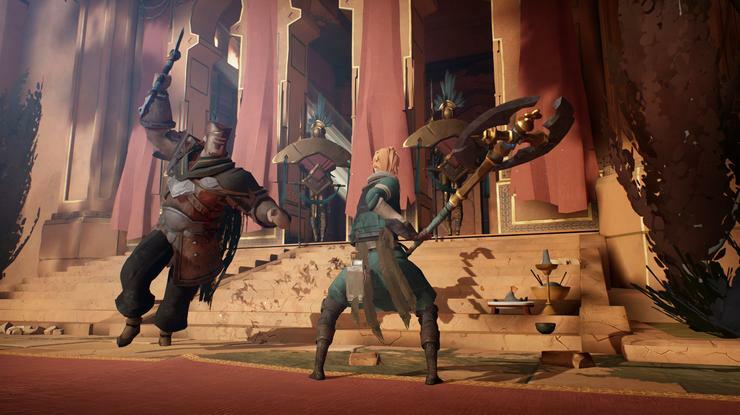 The only way to communicate in Ashen is a single "ping" command, and this limitation makes for a compelling hook. Rather than spend time typing into a clunky textbox, you're forced to rely on inference. Pay attention to where your anonymous companion is and how they're behaving, and go from there. It's a simple approach but the payoff can be astounding. The game only ever pairs you with players around your skill and power level, so the extra body never made things too easy or difficult. Still, it always made things interesting and, at-times, it made them outright magical. 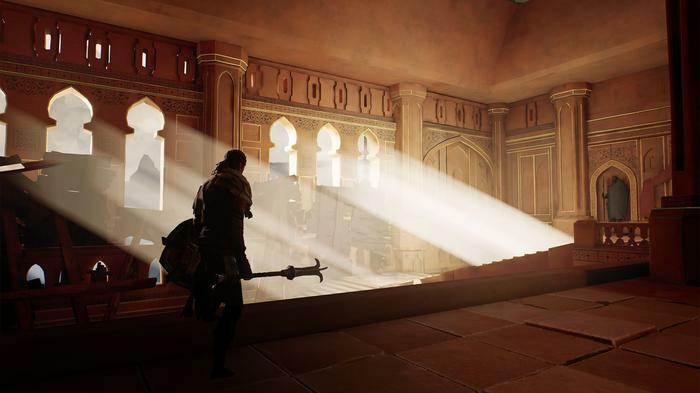 If there’s any key criticism to leverage against Ashen, it’s that it fails to turn the corner towards the end. It starts out as a hyper-accessible take on the Dark Souls formula but fails to evolve beyond that. If you're someone like me - someone who has bounced off this style of game in the past - you'll delight in finding one of these games you can jump in and play. All the same, I found myself irked and unsatisfied by Ashen's endgame. You complete each of the game’s quest chains, unlock the final boss and you’re done. I kinda expected more. The simplicity of the affair, so endearing in the early hours, felt like a ceiling on my enjoyment of the later ones. And as time went on, further limitations and caveats made themselves known. The camera isn't as responsive as it feels like it ought be - which sometimes made dodging enemy attacks a pain. The game also doesn’t do a great job of explaining how to find a weapon you like - which makes it hard to justify shifting from one to another. The fact that Ashen is so dependent on equipment for character progression almost works against it as well. It feels like I ran out of meaningful ways to customise my characters about halfway through the game. Once I found myself butting up against a difficult boss fight, there wasn’t much to be done to close the gap between me and them. It just became a matter of becoming familiar enough with their attacks to dodge them. That, and hoping that my AI companion would stay alive long enough to wear them down. 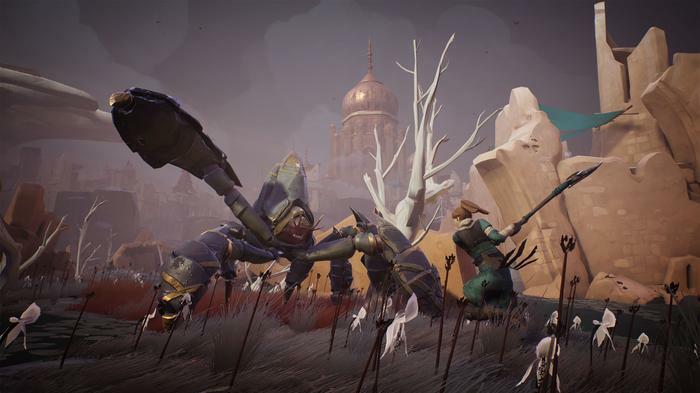 Ashen is a striking game that’s fun to play and rewarding to conquer. The aesthetic and the ambience are entrancing from the get-go to the credits. If the goal was to craft a Souls-style experience that anyone can pick up and play - Ashen is a riveting success. However, as far making a Souls game that everyone should play, it falls that little bit short from what it could be. That might sound harsh but, hey, if A44 are going to take things further with a sequel - I'm all for it. Ashen is available now on PC and Xbox One.